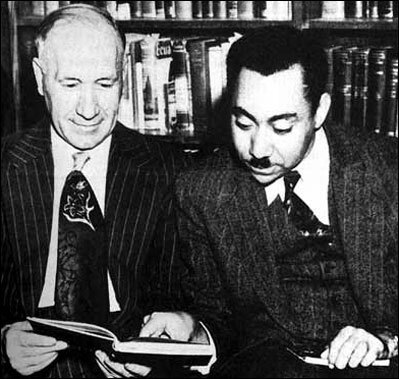 Sayyid Qutb was born in 1906 in the province of Asyut, which is located in southern Egypt. His parents were both deeply religious people who were wellknown in the area. From his years as a young child until the age of 27, he experienced a rigorous education. Qutb’s evident desire for knowledge continued throughout his life. He began his elementary education in a religious school located in his hometown village. By the age of 10, he had already committed the entire text of the Qur’an to memory.1 After transferring to a more modern government-sponsored school, Qutb graduated primary school in 1918. Due to his interests in education and teaching, Qutb enrolled into a teacher’s college and graduated in 1928. Next, he was admitted into Dar al-Ulum, a Western-style university which was also attended by Hasan al-Banna, an Arab-Islamic leader who Qutb would later join in the Muslim Brotherhood. Islam stands for change. It seeks to change the individual and the society. This change covers every aspect of human life: from personal morality to business, economics and politics. It is only natural that Islam should be fought by those who want to keep the status quo. This is the way it has always been throughout history: from Adam to Nuh, Ibrahim, Musa, Isa, and Muhammad (peace be on them). It will happen to anyone who wants to stand up and proclaim the true message of Islam to the world. 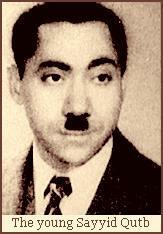 In recent times we have the example of ash-Shaheed (the Martyr) Sayyid Qutb. He was imprisoned, tortured and eventually executed. He was no ordinary Muslim. A man of impeccable Islamic credentials, he made an immense contribution to Islamic political thought at a time when the Muslim world was still mesmerised by such western notions as nationalism, the nation-State and fathers of nations. Nationalist rhetoric laced with socialist slogans was the vogue. It was in this atmosphere that ash-shaheed Sayyid Qutb bravely raised his voice – indeed his pen – against these false ideologies and in one clean sweep denounced them as the modern-day Jahiliyyahh (the primitive savagery of pre-Islamic days). He knew that it was inevitable the forces of Jahilliyah would seek to silence him and yet he, unlike others, courageously stood firm and was ready to sacrifice everything in the pursuit of seeking Allah’s pleasure. He writes, ‘Indeed our words will remain lifeless, barren, devoid of any passion, until we die as a result of these words, whereupon our words will suddenly spring to life and live on amongst the hearts that are dead, bringing them back to life as well.’ 2 Sayyid Qutb was hanged on August 29, 1966. We pray Allah Almighty accepts him as a Shaheed (Martyr) and blesses him with a home in Jannat-ul-Firdous(Paradise). 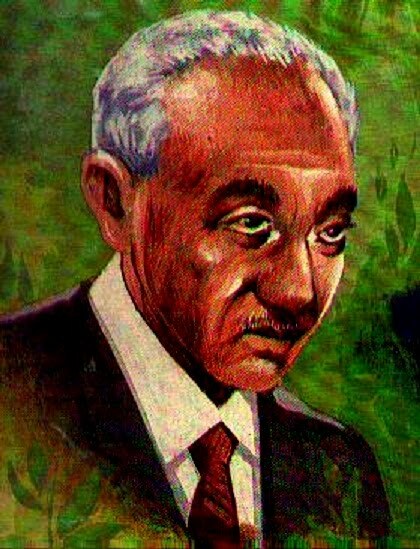 Ash-Shaheed (the Martyr) Sayyid Qutb, who some thirty years after his death is still the most influential ideologue of the as-Sahwah (Islamic revival) in the contemporary Muslim world, began life in the obscurity of the village of Musha (or Qaha) near Asyut in Upper Egypt. He was born there in 1906 to a father who was well regarded in the village for his zuhd (piety) and ilm (learning). He was the eldest of five children and was followed by a brother, Muhammad Qutb, also destined to gain fame as a prolific writer and da’yee (caller to Islam). His sisters, Amina and Hamida, came to attain some prominence in the ranks of the Ikhwan (Muslim Brotherhood). Encouraged by both his parents, Sayyid Qutb swiftly developed a love for learning, and by the age of ten he had become a hafidh (memorizer) of the Qur’an at the local primary school. Three years later, the family moved to Helwan, enabling him to enter the preparatory school for the Dar al-Ulum in Cairo - a prestigious teachers training college which he joined in 1929. This work by the Shaheed -by the will of Allah- along with “Milestones” represent his greatest works and the fruits of his life. I received 5 of the 6 volumes along with Madarij al Salikeen as the first books I was allowed to have. This came after a period of two months with nothing but the Quran. Having had the chance to spend that time with the book of Allah and to contemplate on it, I wanted to read what our scholars had to say about Quran so I ordered Tafsir Ibn Kathir which is a proper classical tafsir along with “In the Shade of the Quran” which is more about thoughts and insights on the book of Allah in addition to it being a contemporary tafsir. Sayyid is a very prolific and eloquent writer. His style is unique. If someone has read for him then he could recognize his writings without having to be told who the author is. With Ibn kathir his tafsir is full of Hadiths and statements of scholars and rulings so it must be read slowly. I would limit myself to a maximum of 30 pages a day. But because of the flowing style of Sayyid I would read between 100-150 pages a day. In fact I would read until my eyes got tired. My left eye would get exhausted before the right eye so I would close it with my hand and carry on reading with my right eye until it can handle it no more and would just shut down. My vision started deteriorating especially in my left eye. Was it because of too much reading, or was it because of poor lighting, Allah knows best. I found that deteriorating eyesight along with kidney problems where the two most common complaints of the prisoners. I would be so immersed with the author I would feel that Sayyid was with me in my cell speaking to me directly. There was something about my reading in prison: I could feel the personality of the author through his words. So even though I was in solitary confinement I was never alone. I was with ibn Kathir for some days, with ibn al Qayyim, Sayyid Qutb, al Shawkani, al-Nawawi and many others on other days. How could I feel the loneliness when all of these great men where my companions? I believe it was Ibn al Mubarak who when asked why he used to spend his time alone said: And how can I be alone when I am in the companionship of the Sahaba? My favourite parts of the Shades were Sura Yusuf, and al Qasas. Sayyid has a beautiful way of presenting the stories of Yusuf and Musa in these suras. Then there are the introductions to surah al Ankaboot and al Ra’d. In his introduction of al Ankaboot he has some wonderful words about trails and in the intro to Sura al Ra’d he talks about the miracle of Quran. Something that the reader of Sayyid couldn’t fail to feel is the immense love Sayyid had for the words of Allah. I lived with “In the Shade of the Quran” for over a month. It carried me through and offered me solace during that period. May Allah reward him abundantly on the Day of Judgment.